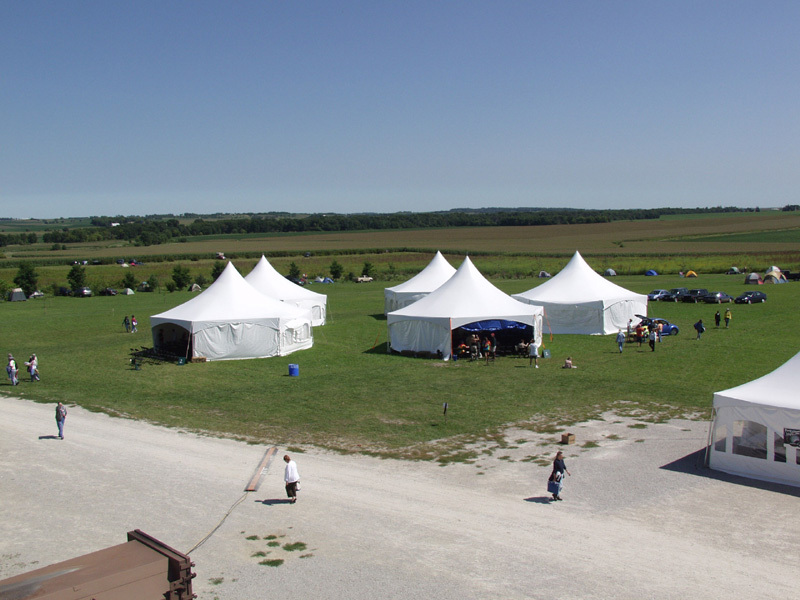 A walk around the Frontier site on a hot August day — especially back by the barn where the tents were — inevitably brings to mind all the togetherness, learning and crazy fun that HerbFest brought to our quiet Iowa location each year (save two) from 1992 to 2005. 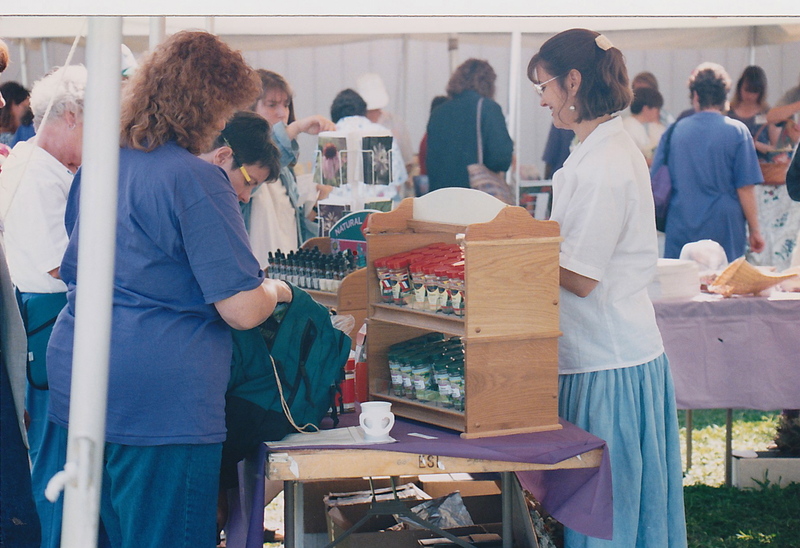 In those days, HerbFest was the country’s largest annual conference on herbs and sustainable living, drawing 1,425 participants one year. 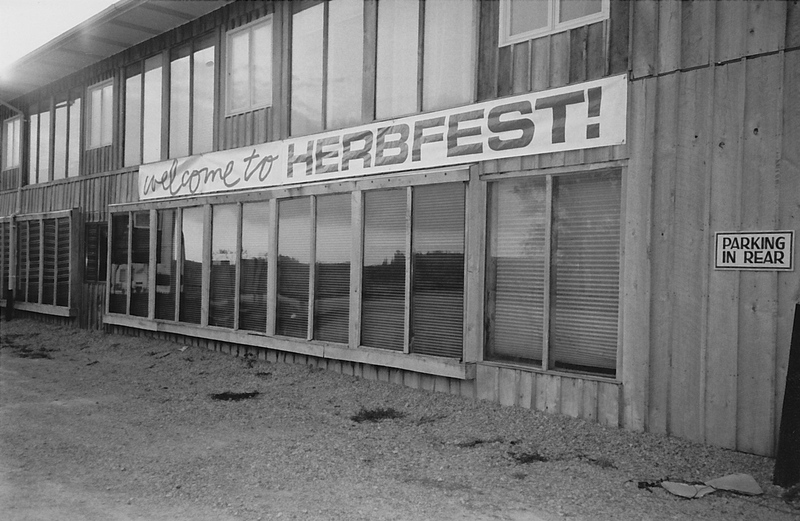 Not only did each conference bring in recognized experts from around the world, but HerbFest also produced memorable scenes you’d never find anywhere else. 1. You parked a mile away on a gravel road and were shuttled back to the grounds with 20 other people in a U-Haul van. 2. You bought a vintage dress from a selection hanging in a tree. The seller picked up the dresses at thrift stores on her trip from Ohio and resold them to pay for her travel expenses. 3. You encouraged your kids to paint on the side of a semi-trailer. 4. You discovered that the graphics on the site map depicting mosquitoes the same size as blackbirds were only a slight exaggeration. 5. 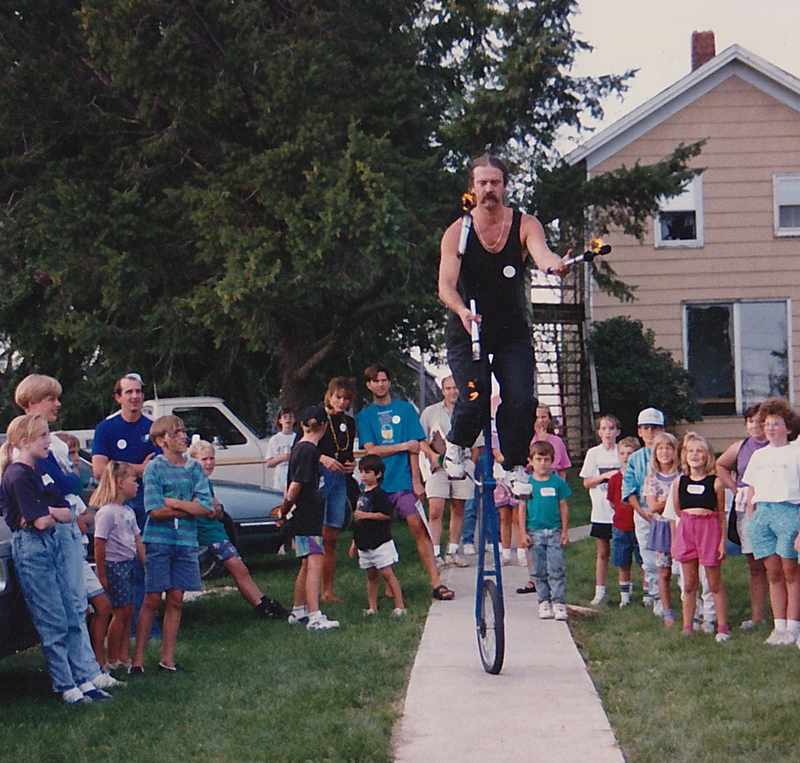 You passed a guy juggling flaming torches on a unicycle on your way to a seminar on Cherokee Ethnobotany. 6. You had to move your camper back behind the teepee to keep the bonfire from peeling its paint. 7. You were on a volleyball team that included two herbalists whose books you’d read. 8. You made a body scrub in your aromatherapy workshop and used it that night in the outdoor showers. 9. 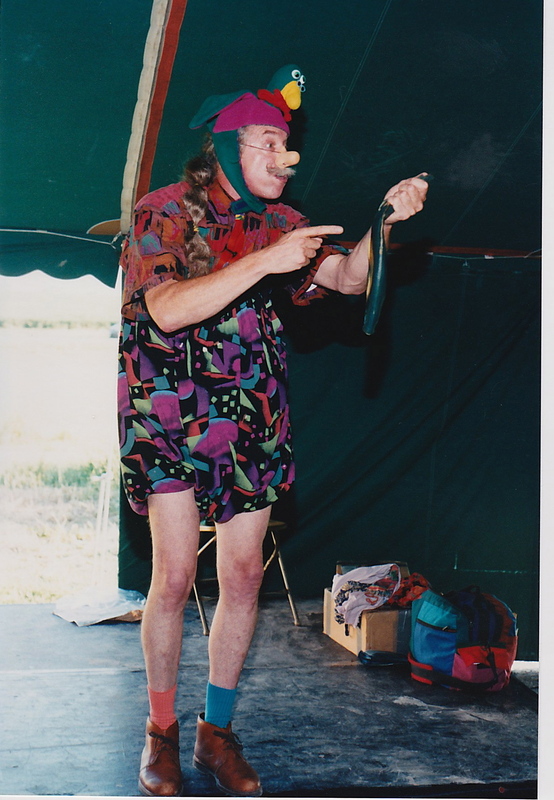 You watched the real Patch Williams clown around. 10. 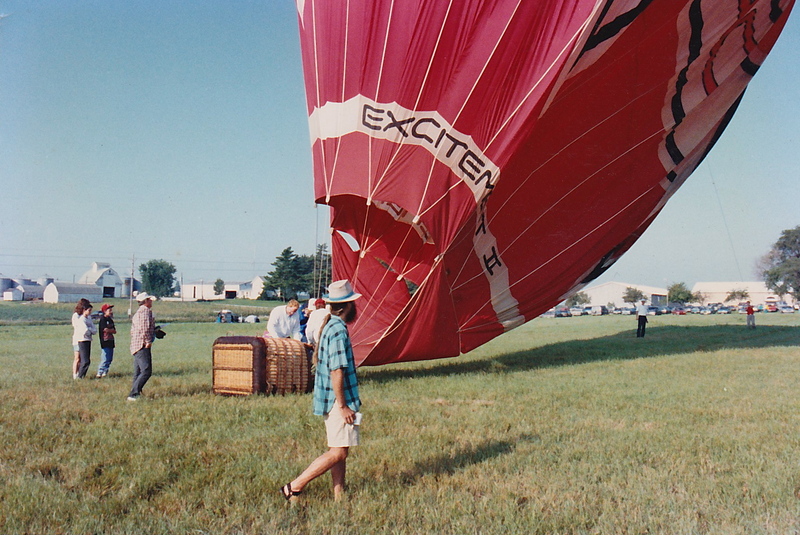 You took a balloon ride over Prairie Creek. 11. You got up early to watch the sunrise the first morning — and also saw a full moon because the shower curtains hadn’t been hung yet. 12. 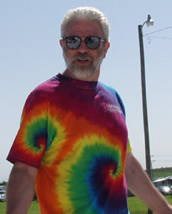 You intentionally bought an ounce of oregano in a plastic bag from a guy in a tie-dyed shirt. 13. You dodged barn swallows while buying handmade jewelry. 14. 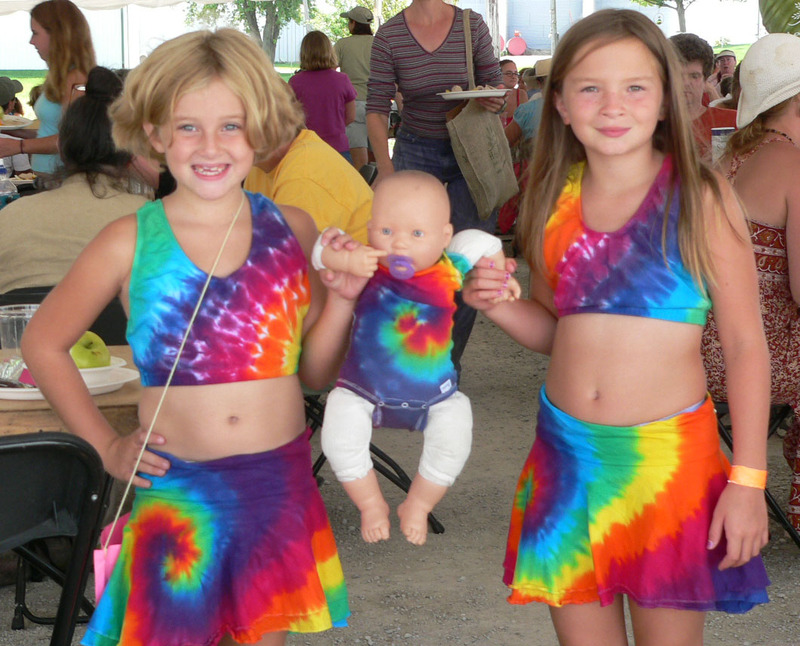 You made your daughters’ outfits out of the 2004 t-shirts to wear at HerbFest 2005. 15. You ended up at the wrong seminar in one of the five look-alike tents, but it was so interesting you decided to stay. 16. 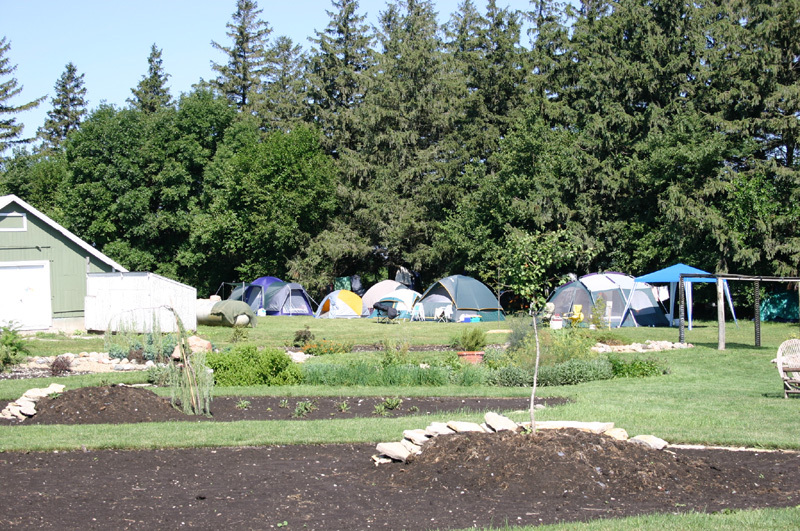 You pitched your tent in a two-acre camping area that smelled entirely of citronella. 17. You saw more campfire dancing your first night than in all of Dancing with Wolves. 18. 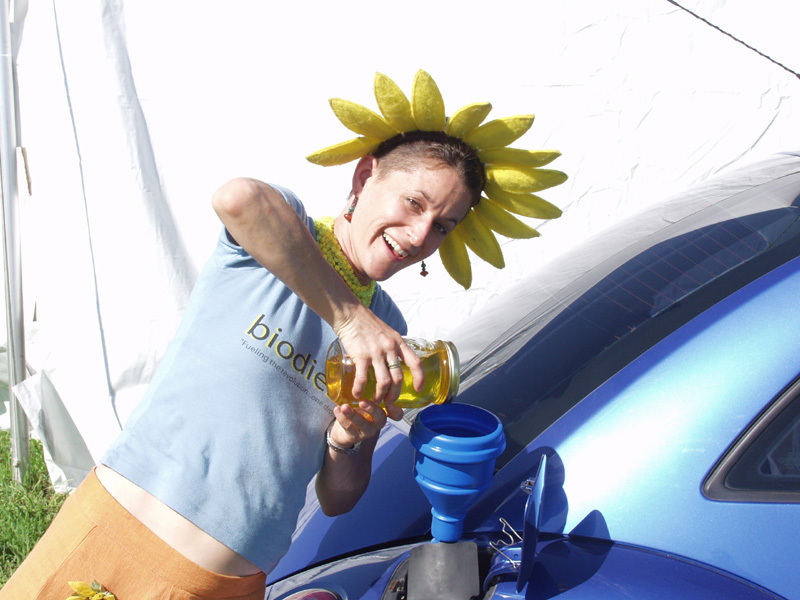 You learned how to run a car on vegetable oil from Betty Biodiesel. 19. 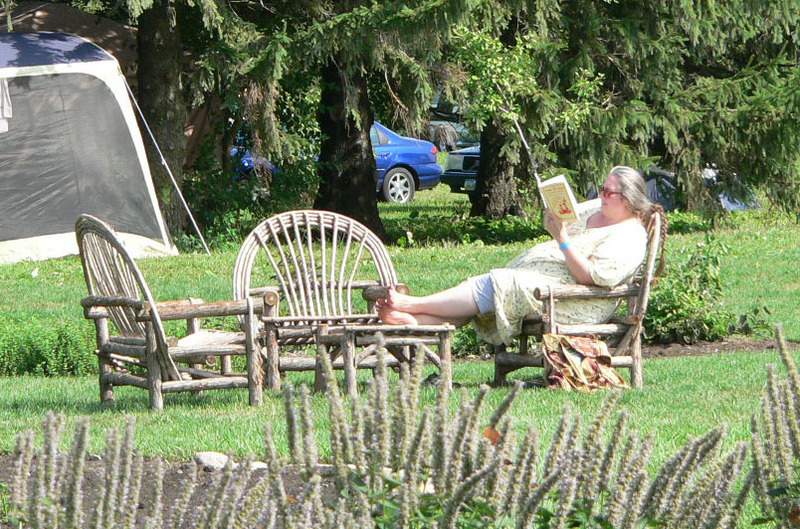 You went straight from the book tent to the botanical garden and read your new herb book cover to cover. 21. You volunteered to help Frontier staff stock the tables in the Closeout Tent because you hoped to find a ridiculous deal on something you wanted. 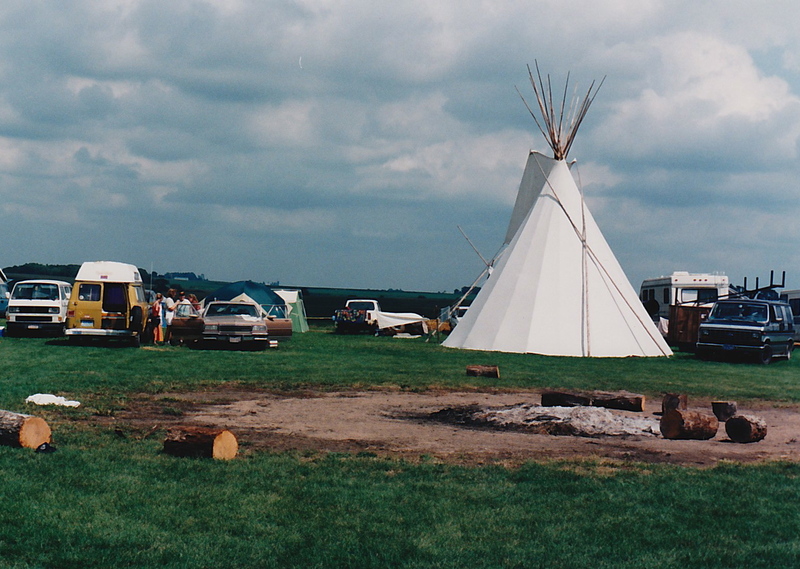 Maybe your HerbFest memories are about the seminars, the food (six meals for over a thousand people, all made with love), the music, the drumming and chanting, the camping, the conversations, or evening walks alone on the prairie. 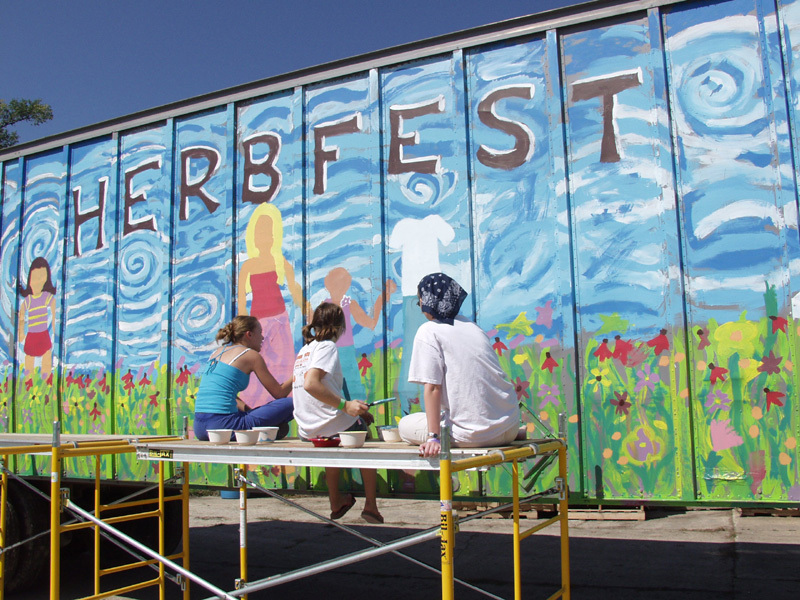 But if you have an HerbFest t-shirt in your closet, chances are good you had a fun weekend with us one August. About the Author: Alan explores ideas and issues related to a sustainable lifestyle — from cooking and culture to social and environmental responsibility. He enjoys Shakespeare, but not as much as college basketball. Alan is a family man, liking nothing better than spending time with his wife of 33 years, his four kids and four grandkids. This entry was posted in Natural health and tagged HerbFest by Cayenne Room. Bookmark the permalink.